I had big plans this week to share a newly painted wall in our kitchen and some open shelving, but the weather was not cooperating. It has rained all weekend, and cutting wood and staining it is nearly impossible. Even though I was working in a covered area, the wood was just too wet from the wetness in the air and making my stain look ugly and blotchy. I tried, I tried so hard to get my project done and have a blog post today. I can imagine that during winter, especially in other parts of the country it’s almost impossible to get any house projects completed unless you’re working inside. 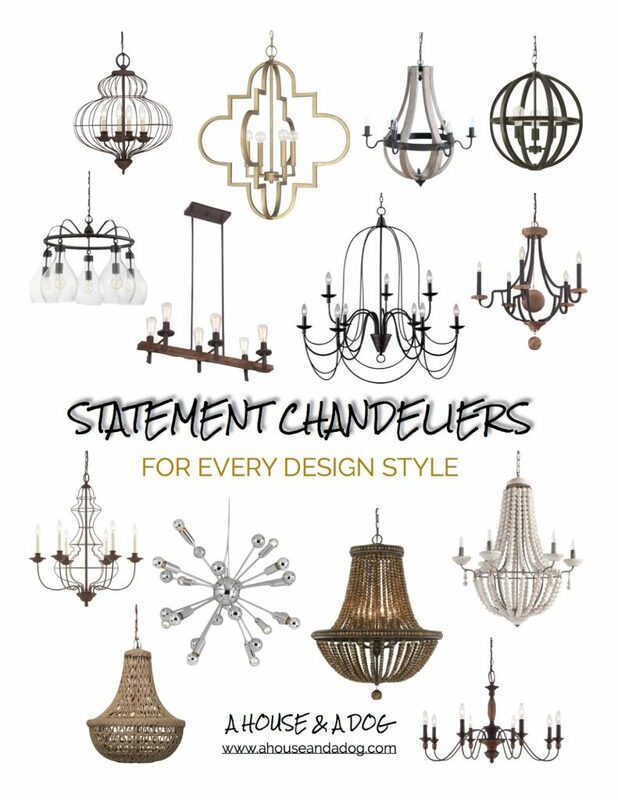 Luckily, I just so happended to be browsing Joss & Main today and picked out some amazing chandeliers for any design style to share with you! Changing out the builder grade lighting in our home was the biggest improvement to making our home more custom. A great statement chandelier can really change a room – any of these would look great in living areas, dining rooms, bathrooms, entry ways, or even as large pendants in the kitchen. The lighting options at Joss & Main are endless, check them out!